Please check availability of the boiler at our distributors. 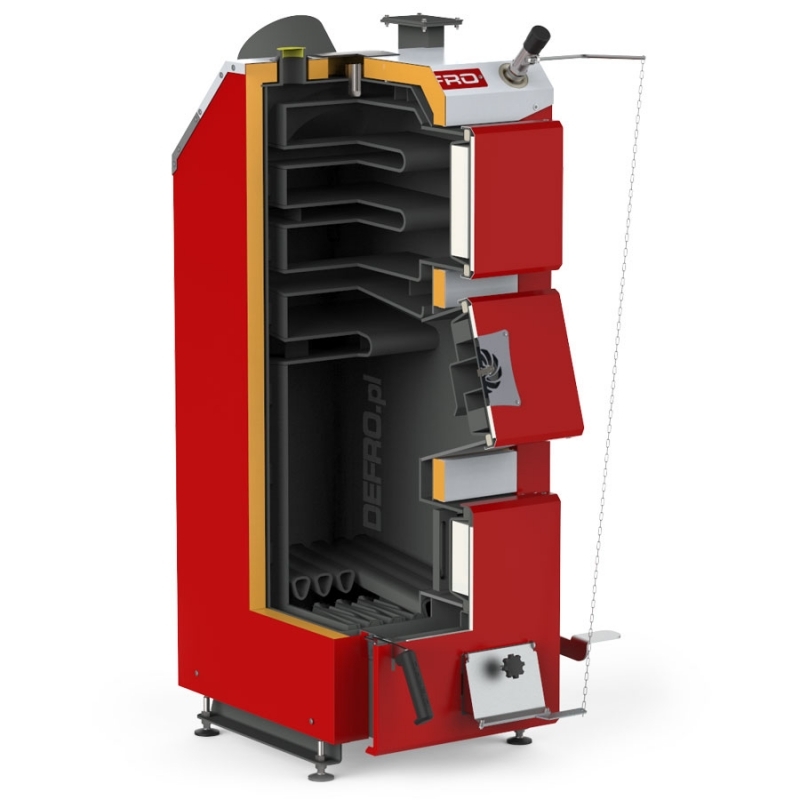 OPTIMA KOMFORT boilers are equipped with horizontal-skew flue gas channels and are adapted for upper combustion of solid fuels. Operation process does not require use of electric energy - boilers are operating using natural draught and temperature is mechanically controlled using knob on lifting flap in ash-pan doors or using draught controllers /additional equipment/. Boilers are factory adapted for installation of fan and electronic controller what significantly increases comfort. Large furnace chamber and arrangement of cleaning holes are only some of solutions ensuring high comfort. 1 Maximum area of heated rooms estimated for unit heat demand q=80 W/m². 2 Boiler weight depends on the equipment. 3 Extra paid option, installed on the customer’s request.